On November 8, the SAP Ariba Partner Ecosystem team hosted 50 thought leaders, analysts, and innovative CPOs, including 12 SAP and SAP Ariba executives in the SAP Leonardo Center in NYC. To apply innovative solutions to real, current business problems by utilizing the participants’ perspectives and ideas, while maximizing everyone’s engagement and interaction level, we arranged the leaders into 7 groups and applied Design Thinking tools for the group discussions. During the workshop, the leaders identified the top challenges in procurement and supply chain and narrowed down to 1 focus area. Each team then developed a design statement for focused ideation. This was further refined to 1 idea using creative brainstorming techniques. Here are the design statements the 7 groups created to bridge the gap between the current and the future. How might we get the right data, well interpreted to make more accurate decisions? How might we position procurement as a strategic function? How might we supercharge the procurement data to change the world? 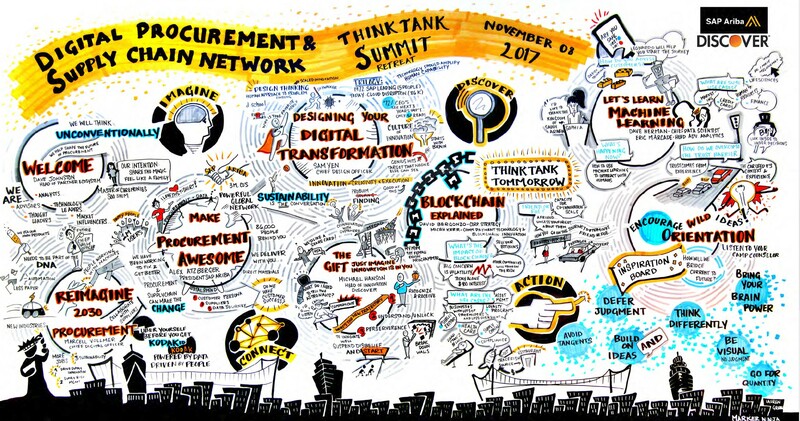 How might we help Procurement to re-imagine the future? How might we improve the quality and availability of data? How might we inspire trust by providing relevant track and trace data or the need for it? How might we prompt the adoption of new ways of making procurement awesome by focusing on people and behavior? 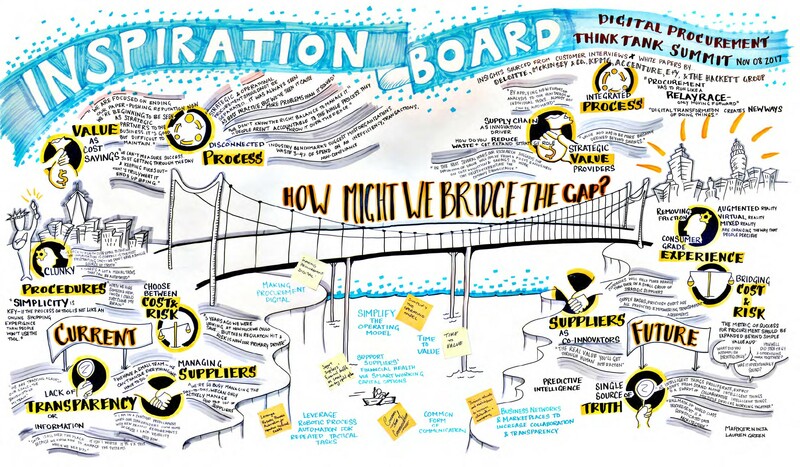 We plan to publish a series of blog on each group discussion Please come back and check out the subsequent blogs on each challenge area and potential solution ideas in depth to learn more about what’s on top of procurement Thought leaders’ minds!